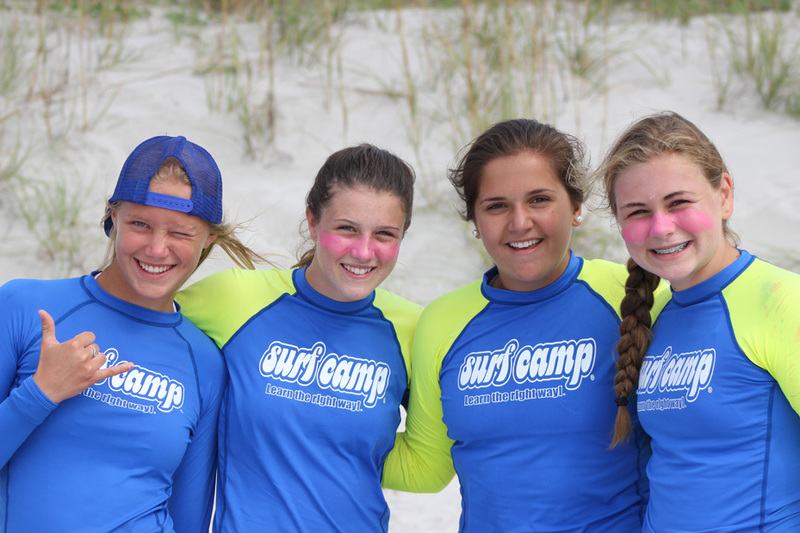 Since 2001, our unique Surf Camps have been located in the warm-water beach town of Wrightsville Beach, North Carolina. 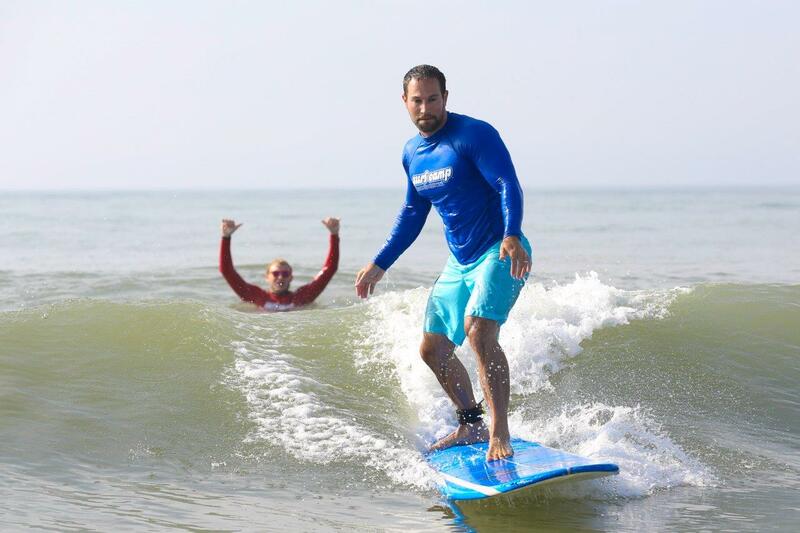 During our 5-day learn to surf program, you will build confidence in the fundamentals of surfing. Our team of professional instructors consist of trained educators with combined teaching in the thousands of hours on all levels to all types of students. 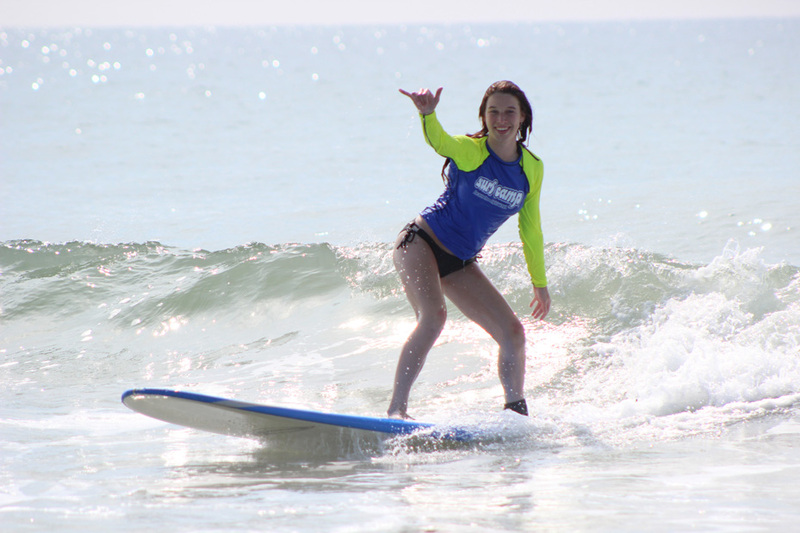 Why not learn to surf while taking advantage of warm, emerald green waters and white sandy beaches, and enjoying a week of fun in the sun? 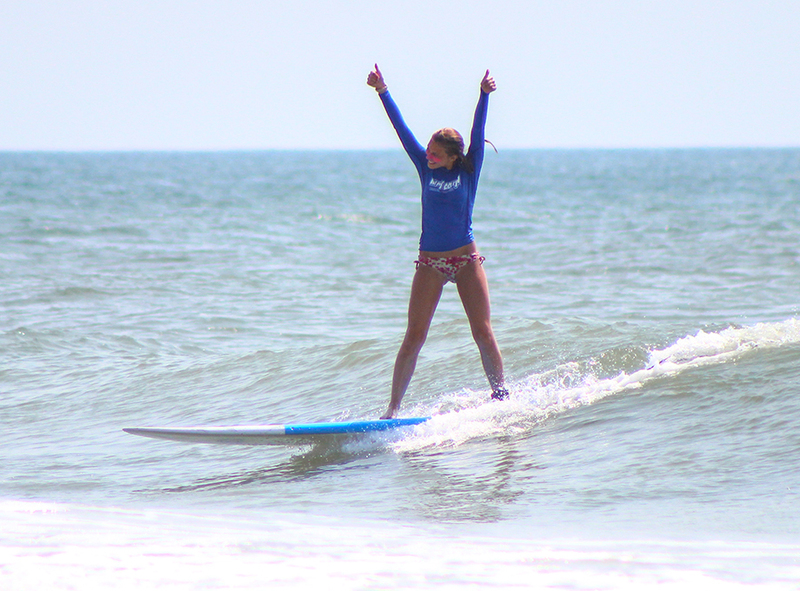 We offer both locals and vacationers alike a surfing experience they will never forget! 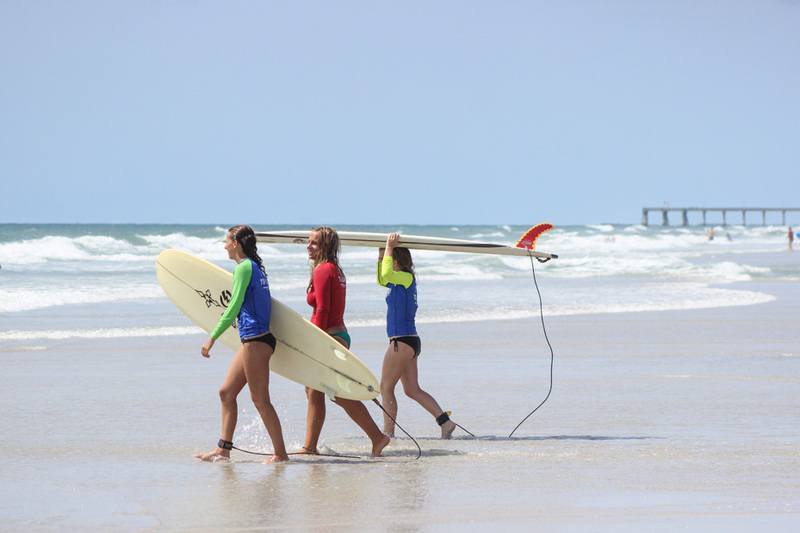 Bring your friends, family, or come by yourself and see why Surfer Magazine rated Wrightsville Beach, North Carolina one of America’s top 10 surfing towns. 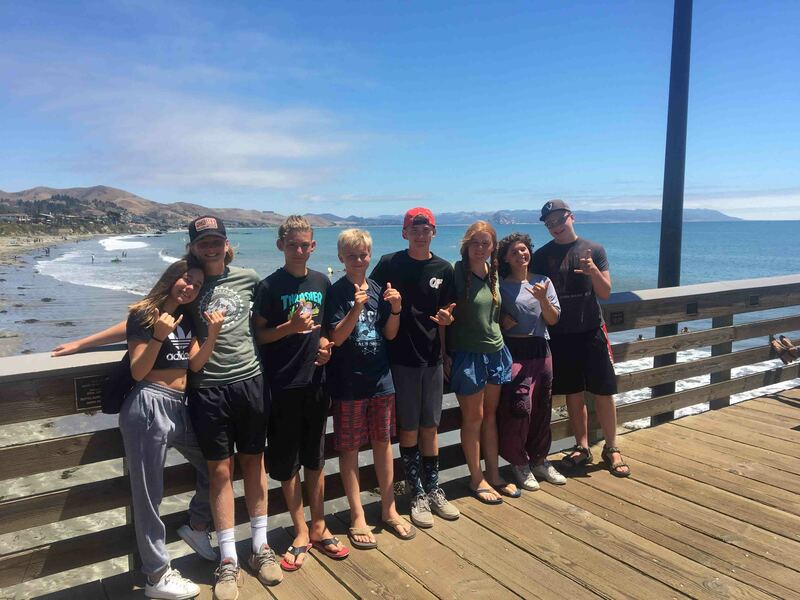 This low enrollment Surf Camp is high quality and we only accept 15 participants. Participants are grouped by age and taught with a progressional methodology. To secure your spot now, please select from the available date(s) listed below. 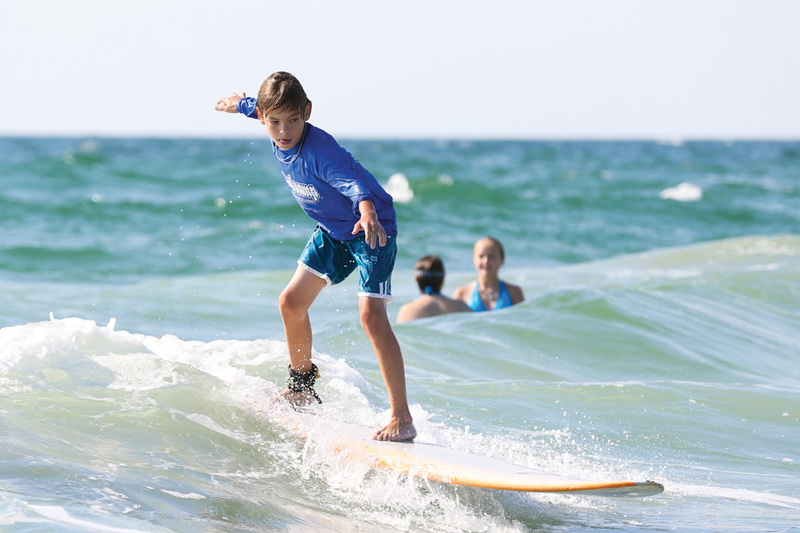 If I have never surfed before, is this camp for me? 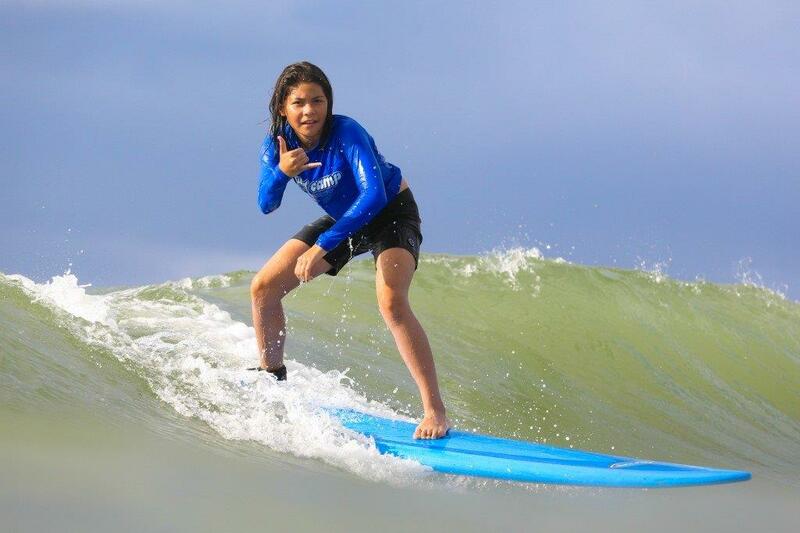 Our program’s dynamic curriculum and awesome surf instructors can coach beginner through advanced surfers. The only prerequisites are that you’re ready to have the time of your life and are able to swim. We’re traveling to North Carolina from out of town just to come to your camp. Are there hotels, rental properties, or campsites nearby that you can recommend? We maintain a list of recommended campsites, hotels, and real estate companies in the area. Please email us at info@wbsurfcamp.com and we’ll be happy to provide it! Do people do more than one session a summer? They sure do. They not only participate for several weeks during the summer, they usually return for several years. Our small student to instructor ratio of 3:1 allows personalized coaching to continued skill development, plus it’s just so much fun! The only things you need to bring are a bathing suit, sunscreen, towel, and water bottle. We recommend female clients wear board shorts to protect sensitive skin. Is there a lifeguard at the beach you use? All our camp instructors hold current American Red Cross Certifications including CPR for the Professional Rescuer and First Aid. We’re very proud of our impeccable safety record! What are the ages of your day campers? 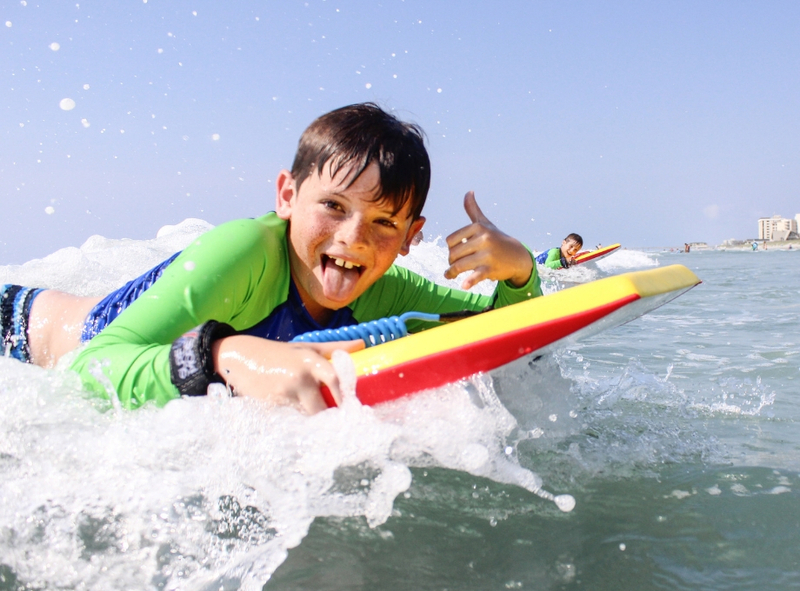 Everyone ages 11 and up are invited to participate in this exciting learn to surf camp! Participants are then sub grouped by age. Do you have a valid permit from the Town of Wrightsville Beach to operate on the Beach Front? Not only do we have one, we were involved in creating the process. This ensures that we have current liability insurance and workman’s comp insurance. All of our instructors carry a copy of this permit at all times. It’s the law in Wrightsville Beach!